Email was never designed with privacy in mind. People still can connect to their email server in a way that is not secure. Even if you ensure that your email server connection is secure, there is no way to know if your recipient's email server connection is setup in a way to ensure the secure delivery of your email. The SendThisFile Outlook plugin allows you to easily send files of any size and secure the contents of the attachments. Our seamless integration with Microsoft Outlook makes it easy, you don't have to change the way you currently send email with or without attachments. After installing the SendThisFile Outlook plugin, you simply create a new email, reply or forward as you normally would, attach files and click send. It automatically removes email attachments and inserts a safe and secure download link. 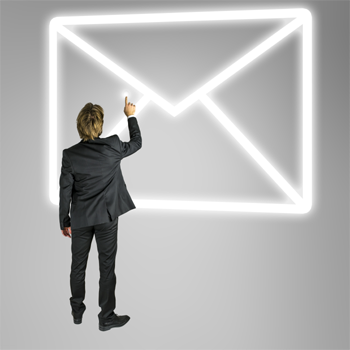 Seamless integration, send email and attachments like you normally do. The SendThisFile Outlook plugin allows you to easily and securely send file attachments when using Microsoft Outlook. Once you create an email and click "Send", the file attachments are uploaded securely to our servers using 256-bit TLS encryption. 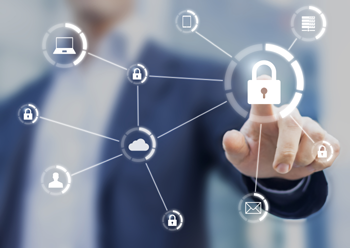 The attachments are stored using 256-bit AES, each file encrypted using a unique life cycle encryption key while at rest on our servers. Files are securely deleted from our servers automatically after the file retention period that you control has been met. SendThisFile does all the work for you to ensure your file attachments are secure. After installing the SendThisFile Outlook plugin, you'll never see "the attachment size exceeds allowable limit". Our seamless integration with Microsoft Outlook allows you send attachments of any size and you don't have to change the way you currently use Outlook. No more hassles with trying to get a large file attachment to your recipients using Microsoft Outlook. Our Enterprise Outlook Plugin is scalable to handle small and large companies. Anyone in the company needing to send emails with large files attachments can use the Enterprise Outlook Plugin. All files sent from individual users can be tracked and monitored from a central administration console. Users no longer have to struggle with email attachment size limitations, inbox storage quotas, or lack of security. If your needs and requirements make you qualified for our Enterprise Plan, the Plug-in can be a great alternative to using the web forms. Once users are added to your account, they can easily download and install the Plugin onto their individual computers. With the Enterprise Outlook Plugin, the download page our recipients use to download the file attachment securely can be customized with a logo to match your brand. The SendThisFile Outlook Plug-in can be downloaded from your SendThisFile account when you sign up for a Professional, Business, or Enterprise plan. The Plug-in is compatible with Microsoft Outlook versions 2010, 2013, & 2016.